Who among the angels may thus presume? It is enough for them, and for them their greatest honour, that while they are spirits by nature they have become and are called angels, as David testifies: Who makest thy angels spirits. [Ps. 103: 4] Mary, knowing herself mother, with confidence calls that Majesty Son Whom the angels in reverence serve. Nor does God disdain to be called that which He disdained not to be. For the Evangelist adds a little later: He was subject to them. Who was subject to whom? A God to men. 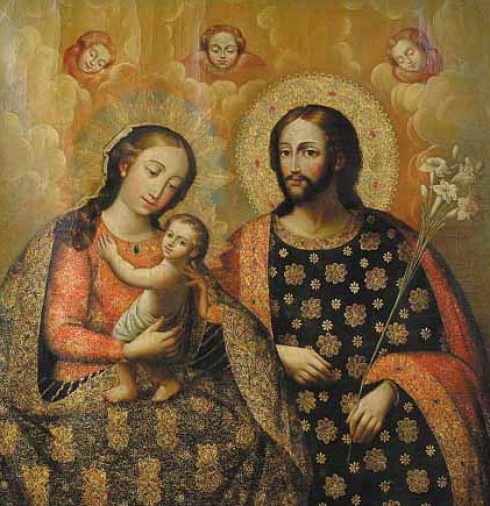 God, I repeat, to Whom the angels are subject: Whom principalities and powers obey: was subject to Mary; and not alone to Mary, but to Joseph also, because of Mary. Admire and revere both the one and the other, and choose which you admire the more: the most sweet condescension of the Son, or the sublime dignity of the Mother. For either am I at a loss for words: for both are wondrous. For that God should obey a woman is humility without compare; and that a woman should have rule over God dignity without equal. In praise of virgins is it joyfully proclaimed: that they follow the lamb withersoever he goeth. [Apoc. 14: 4] Of what praise shall you esteem her worthy who also goeth before Him? For as often as I desire to be foremost among men, so often do I seek to take precedence of God; and so do I not truly savour the things that are of God. For of Him was it said: And he was subject to them. If you disdain, O Man, to follow the example of a Man, at least it will not lower thee to imitate thy Maker. If perhaps you cannot follow Him wheresoever He goeth, at least follow in that wherein He has come down to you. If you are unable to follow Him on the sublime way of virginity, then follow God by that most sure way of humility; from whose straitness should some even from among the virgins go aside, then must I say what is true, that neither do they follow the Lamb withersoever he goeth . He that is humble, even though he be stained, he follows the Lamb; so too does the proud virgin; but neither of the two whithersoever He goeth: because the one cannot ascend to the purity of the Lamb that is without stain, nor will the other deign to come down to the meekness of the Lamb, Who stood silent, not merely before the shearer, but before the one that put Him to death. Yet the sinner who makes after Him in humility, has chosen a wholesomer part than the one that is proud in his virtue; since the humble repentance of the one washes away uncleanness, but the pride of the other contaminates his own virtue. Truly blessed was Mary who possessed both humility and virginity. And truly wondrous the virginity whose fruitfulness stained not, but adorned her; and truly singular the humility, which this fruitful virginity has not troubled, but rather exalted; and wholly incomparable the fruitfulness which goes hand in hand with her humility and her virginity. Which of these things is not wondrous? Which is not beyond all comparison? Which that is not wholly singular? 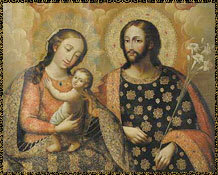 It would be strange if you did not hesitate to decide which you regard as most worthy of praise: whether the wonder of fruitfulness of offspring in virginity, or of virginal integrity in a mother: sublimity of Offspring, or humility joined to such dignity: unless it be that we place both together above each one singly: and it is truly beyond any doubt more excellent and more joyful to have beheld these perfections united in her, than to see but one part of them. And can we wonder that God, of Whom it is written that He is wonderful in his saints,[Ps. 67: 36] shows Himself in His own Mother yet more wondrous still. Venerate then, Ye spouses, this integrity of flesh in our corruptible flesh. Revere likewise, Ye virgins, fruitfulness in virginity. Let all men imitate the humility of God’s Mother. Honour, Ye angels, the Mother of your King, you who adore the Offspring of our Virgin; Who is your King and our King, the Healer of our race, the Restorer of our fatherland: Who among you is so sublime, yet among us was so lowly: to Whose Majesty as well from you as from us let there be adoration and reverence: to whose Perfection be there honour and glory and empire for ever and ever. Amen.